Around the world with the hottest food and travel profiles. 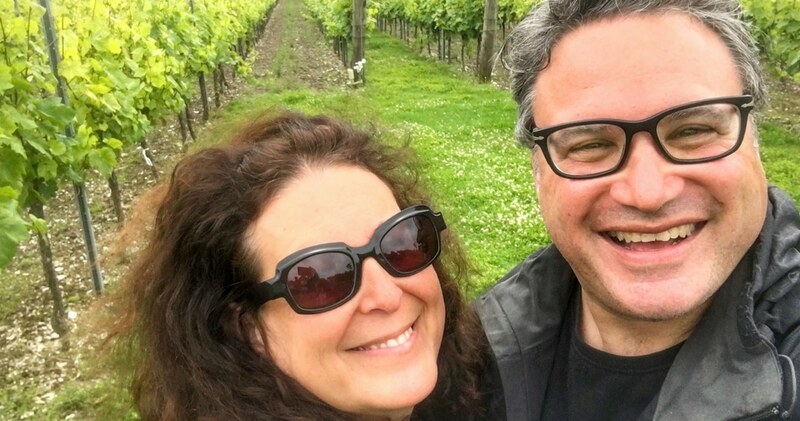 We are Daryl and Mindi Hirsch, married Culinary Travel Influencers who love sharing food photos as well as the stories behind the food. After leaving the 9 to 5 life for full-time travel, we are currently exploring the world one meal at a time. 2. 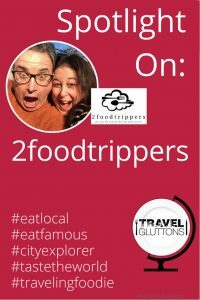 What is your site ‘2foodtrippers’ about? 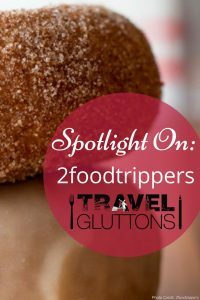 2foodtrippers is a site is for people who understand that food is one of the best parts of travel. We highlight the not-to-miss foods to eat when traveling – everything from street food to three star Michelin meals. We recently launched a new video series on YouTube, and these videos are also featured on 2foodtrippers. You can also find us on Facebook, Twitter, Instagram and Pinterest. 3. What is one food tip you would give about Philadelphia, PA? When we’re not traveling, we are based in Philadelphia. Our biggest food tip is to skip the famous cheesesteak and instead eat a roast pork sandwich. If Philadelphia is a sandwich city, then the roast pork sandwich is the sandwich king. John’s Roast Pork in deep South Philly is our favorite spot for a roast pork sandwich. We also like DiNic’s at the Reading Terminal in Center City. 4. What is one travel tip you would give about Philadelphia, PA? Philadelphia is a city of neighborhoods. Take time to walk around the city and explore the different neighborhoods. Walking is the perfect way to experience local food, like at the Italian Market in the Bella Vista neighborhood, as well as the wide selection of global food all over the city. While walking, be sure to check out the abundance of art on the streets as well as in the city’s world-class museums, especially at the Barnes Foundation. 5. What is the best thing to eat in Philadelphia, PA? Philadelphia has so much great food. 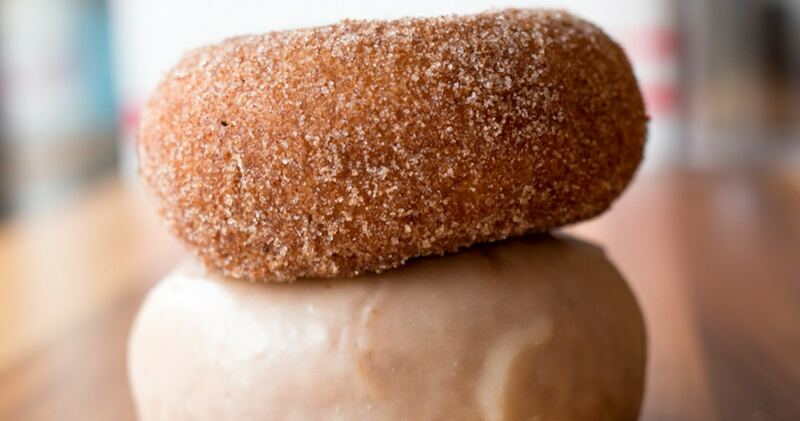 If we have to pick just one thing, then it would be the donuts at Federal Donuts. The shop sells just three things – donuts, fried chicken and coffee, and all three are great. Each order of fried chicken comes with a Honey donut. Otherwise, donut options are grouped as Hot Fresh and Fancy. 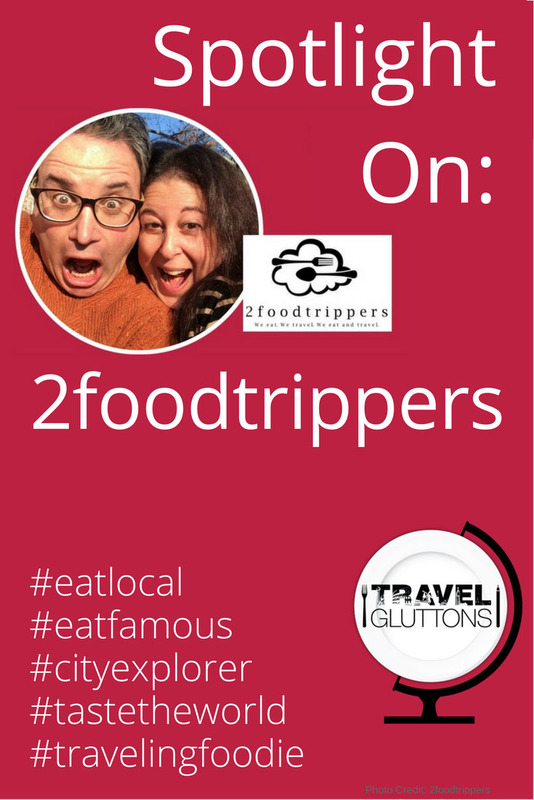 One Response to "Spotlight On: 2foodtrippers"